Sustainable human development – that is the vision that made Dr. Ibrahim Abouleish dig the first well in the vast desert land. Since 1977, Dr. Ibrahim Abouleish tackles desertification by using Biodynamic agricultural methods: He, his family, friends and employees revitalize desert land and develop a striving agricultural business. 40 years ago, Dr. Abouleish gave up his promising medical research career and devoted himself to Biodynamic agriculture which promotes a holistic approach to sustainable development. Already back then, he knew that it would take creative solutions to “end hunger, achieve food security and improved nutrition and promote sustainable agriculture” – Sustainable Development Goal 2. “It is not too late to reshape agriculture and food systems to better feed the world and deliver sustainable development,” Kofi Annan. SEKEM shows how the desert can be reclaimed in a sustainable way. Its mission is the development of the individual, society and environment through a holistic concept integrating ecology, economy, societal and cultural life. The vision still resounds in all of SEKEMs activities. 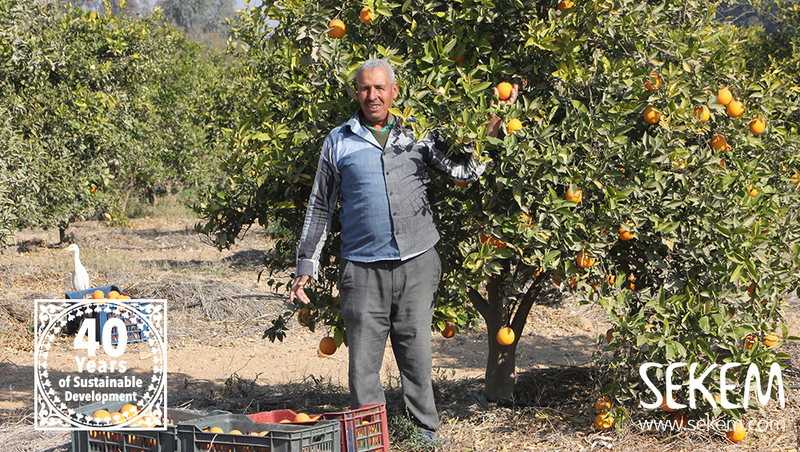 SEKEMs community development approach is a role model and the groundwork for ending hunger – especially when thinking about that about 90% of Egypt’s land is desert and only little land in the fertile Nile delta is available for agriculture. “It is not too late to reshape agriculture and food systems to better feed the world and deliver sustainable development,” Kofi Annan, former UN-Secretary-General and Chair of the Kofi Annan Foundation, recently stated. “More than 70% of our reclaimed land produces food and raw materials for the local market,” says Helmy Abouleish, SEKEMs CEO. “And this is not a coincidence. It helps solving the hunger problem, as Egypt remains highly dependent on food imports,” he continues. According to the United Nations’ World Food Programme, about 16% of Egypt’s population has only poor access to food. In Upper Egypt food insecurity is the highest – almost 40% of the population there has poor access to food. 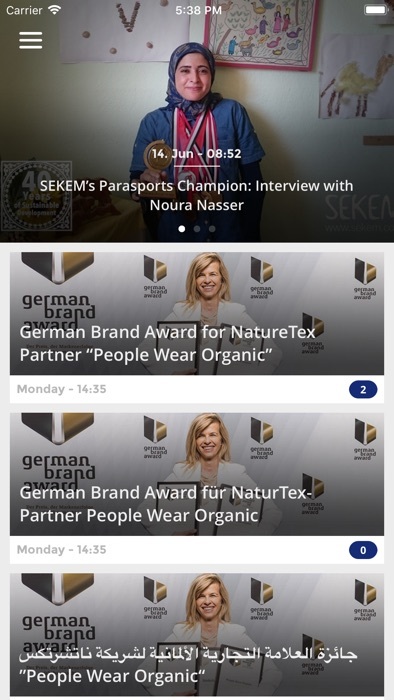 With its Organic, Demeter certified and healthy food production, SEKEM fights malnutrition. At the same time, SEKEM is aware that not all people can afford Bio-Dynamic food products. SEKEM subsidies lunch for all employees – so every worker gets at least one both warm and healthy meal per day. Every employee can opt for this two Egyptian pounds meal; the rest of the meal pays SEKEM. Furthermore, SEKEM bears the cost of the whole meal for workers who work in the night shift. 40 years ago, SEKEM was founded with the idea of sustainable development and building of a prosperous future for Egypt and the world. For SEKEM, sustainable development is not a fancy topic to talk about, but the core business. SEKEM commits itself to the “2030 Agenda for Sustainable Development” and works to fulfill all 17 SDGs. SEKEM measures its holistic concept with the Sustainability Flower. The flower represents a management, assessment and communication tool symbolizing the concept of sustainable development in its four dimensions: economic life, societal life, cultural life and ecology. What is SEKEM doing in line of SDG 1?